These Rechargeable LED tea lights are good for 500+ charges and include self positioning charging base. 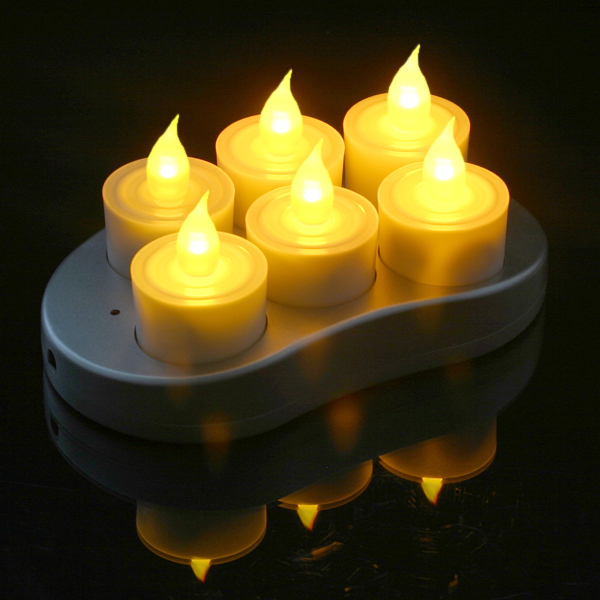 Each tea light has an on/off switch and each candle runs 6-8 hours on each charge. Charger has UL-listed adapter with electronic circuitry with overcharge protection. Soft to the touch silicone tips contain realistic random flickering amber LEDs that run on 600mA Ni-Mh batteries included.